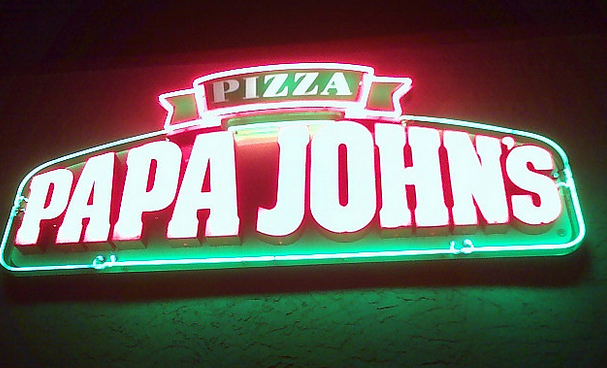 For the third time this year, prosecutors have accused an owner of a New York-area Papa John’s pizza franchise of not paying employees minimum wage and overtime. This time, the franchise owner is accused of not only failing to pay his workers properly, but devising a scheme to carry out the non-payment through falsified tax documents. Now, he and his company are not only facing more than $500,000 in payments to employees and fines, but jail time. New York Attorney General Eric Schneiderman, along with the U.S. Department of Labor’s Wage and Hour Division, announced charges today against BMY Foods Inc. and its operator for allegedly failing to pay minimum wage and overtime to approximately 300 current and former employees. According to the AG’s office, instead of paying overtime wages as required by New York and federal labor laws, the owner of the franchise paid workers the same, regular pay rate for all hours worked. In order to conceal this practice, the company allegedly paid for overtime hours in cash to avoid creating a record and created fictitious names for employees to use in their computerized timekeeping system. When employees’ weekly hours reached 35 or 40 per week, they were allegedly required to use the fictitious names so that the employer’s failure to pay proper overtime for these hours would be concealed. BMY Foods and its operator both allegedly made the cash payments under the fake names and kept separate paper records reflecting both the check and cash payments made to the same worker, the AG reports. To continue the scheme, the company allegedly filed fraudulent tax returns with the State of New York that omitted the cash payments made under fictitious names. According to the complaint, the operator created the two-name ploy after finding out that he was under investigation by the U.S. Department of Labor for wage violations. The charges filed by the AG’s office seek jail time and the payment of $230,000 in back wages to current and former employees of the stores. The Dept. of Labor’s judgement stipulates that the operator must pay an additional $230,000 in liquidated damages to employees and $50,000 in civil penalties. Today’s wage theft case is the third for the New York AG’s office this year. Back in February and March, the office obtained judgments totaling $3 million against two other Papa John’s franchisees, Emstar Pizza and New Majority Holdings, for violating wage laws.